The team at Mercure Millau hotel welcomes you to Aveyron. Our location in the city center will allow you to stroll through the historic heart of the town, as well as checking out the new La Capelle shopping center. 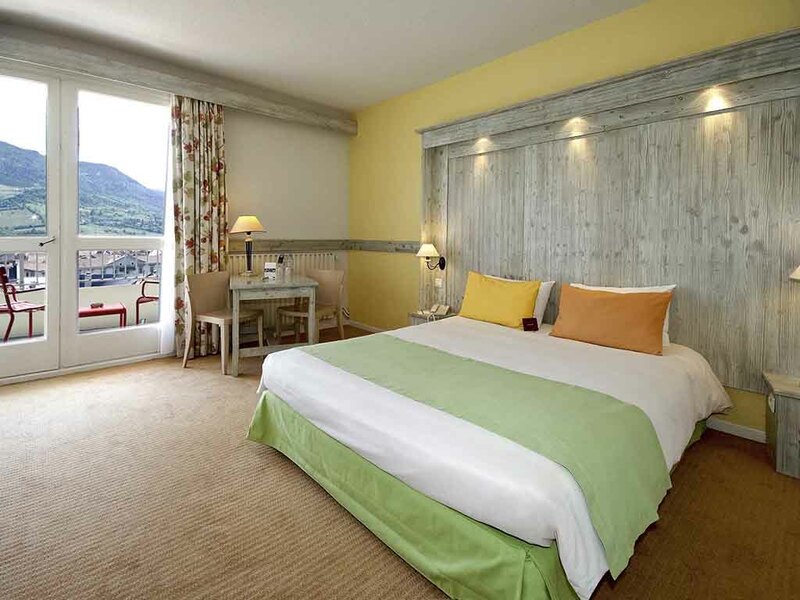 Ideally located in the centre of the historic town of Millau, 800 metres from the railway station and just 10 minutes from exit 45 of the motorway, the Hotel Mercure Milau offers fully-equipped designer rooms with a view of the highest viaduct in the world. After a business meeting or touring in the Gorges du Tarn area, relax on our restaurant terrace and enjoy a glass of one of our choice wines. Explore the region, and try activities like kayaking, rafting or cycling. This Mercure hotel is ideally situated to assure your relaxation after a business seminar or sightseeing trip. Four meeting rooms and an open area (100 person capacity), a private, secure car park (on reservation) and free Wi-Fi. At this Mercure Hotel , you are assured of personalised planning for your business meeting or your leisure trip with friends or family. Choose from different room categories: a Standard Room or Privilege Room with a wider range of services. The "Au Bouchon de la Fontaine" restaurant offers traditional cuisine accompanied by our Grands Vins Mercure wines. The restaurant is open from 12 noon to 1.30pm and from 7pm to 9.30pm. Please contact us to find out what days the restaurant is open. Enjoy a drink in the warm and friendly atmosphere of the bar, open 24 hours a day.